Soil solarization (also referred to as solar heating of the soil in early publications) is a new method for disinfestation of soil, first described in 1976 by Katan et al, for controlling soilborne pathogens and weeds, mostly as a pre-plant soil treatment. It was opened to scientific examination and criticism via a publication in Phytopathology in 1976. 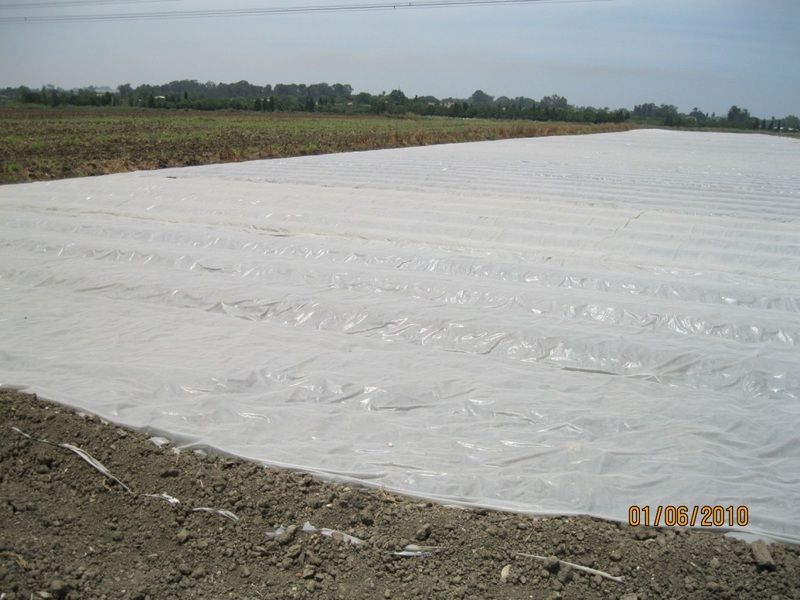 Soil solarization is achieved by covering (mulching, tarping) the soil in a moist condition with transparent polyethylene during the hot season, thereby heating it and killing the pests. The soil is pasteurized but not sterilized. The 1976 publication described in detail the method, its principles and potential to control disease, insect pest, nematodes and weeds under field conditions. 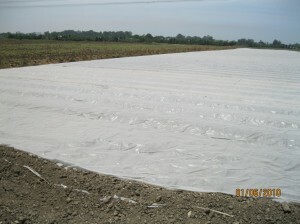 Broadcast application of soil solarization; the soil is mulched with transparent polyethylene. The concept of soil solarization could only have evolved following the advances in plasticulture development, especially in plastic mulch technology that began two decades earlier. The basic approach of using the sun to heat plastic-mulched soil for pest control has taken off since then and has been adopted based on fundamental research accompanied by extensive implementation under various cropping systems and in different regions. It has also been used to clean up diseases and weeds in gardens, golf putting greens, and many other applications. Over the years, solarization has been assessed as a control method against a wide range of soilborne pests, including plant pathogenic fungi (such as Verticillium, Fusarium, Pythium), pathogenic bacteria, plant parasitic nematodes, weeds and arthropod pests. There are also cases in which effective control has not been achieved, possibly because of heat-tolerance or -resistance of the pathogen or weed seeds. Adoption of solarization has increased significantly since 1976, despite the fact that this technology does not enjoy industry support. On the other hand, the methyl bromide crisis and its phase-out have initiated new opportunities, especially with intensive cropping practices. One outcome is that soil solarization (alone and especially when combined with other practices such as adding organic amendments, e.g. certain crop residues, oil meal products, compost, and animal manure) has become an important player in the soil disinfestation arena. 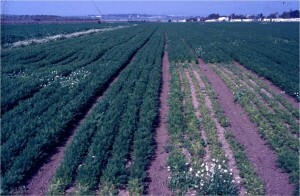 Control of bromerape (Orobanche) in a carrot field. The small plot on the right side was not solarized. 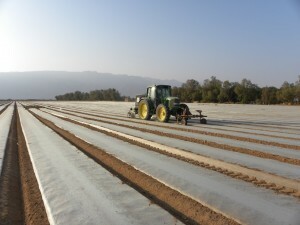 Soil solarization is the third approach for soil disinfestation; the two other main approaches – soil steaming and chemical fumigation -were developed at the end of the 19th century. Soil fumigation was identified for many years with the fumigant methyl bromide. See also: Why the Increased Growth and Yield Response of Crops to Soil Fumigation? It comes as no surprise, therefore, that the phase-out of methyl bromide along with extensive efforts to find effective chemical and nonchemical alternatives for control of soil-borne pests has further emphasized the limitations of using available fumigants and other disinfestation methods as stand-alone approaches. The last decades have seen adoption of the integrated pest management (IPM) philosophy for soil disinfestation, realizing that, beyond killing the pests, soil disinfestation should encompass economic, social, legislative, and environmental aspects. IPM in soil disinfestation represents a continuous process rather than a single action, and brings together the application of various control measures and concepts. Combining solarization with other pest-control measures is one of the important tools for IPM implementation and improvement in soil disinfestation. The various strategies of combining soil solarization with pesticides, organic amendments or beneficial microorganisms, including the integration of soil solarization into cropping systems under real farming conditions, has been extensively researched. Today, solarization is explored or implemented in more than 70 countries, and studies have been documented in over 1,400 research papers, mostly in the hot regions of the world. The studies demonstrated the effectiveness of solarization with vegetables, field crops, ornamentals, nurseries, and fruit trees against many pathogens, weeds, and soil arthropods, and in various cropping systems, including organic gardening and farming. In parallel, the biological, chemical, and physical changes taking place in the solarized soil during and after the solarization process, interactions with other methods of control, and many other topics have also been investigated. Long-term effects, biological control and increased growth response similar to the IGR reported for soil fumigation were demonstrated for different climatic regions and soils. See also: Why the Increased Growth and Yield Response of Crops to Soil Fumigation? The results of these studies point to the involvement of general mechanisms in solarization, and the wide applicability of this approach to soil disinfestation. First and foremost, heat kills the pathogens, weed seeds and other pests during the solarizatoin process. However, biological mechanisms are also involved. Frequently, populations of fluorescent pseudomonad bacteria, Bacillus sp., the antagonistic fungus Talaromyces, and other antagonists are increased following soil solarization, either in the soil or in the rhizosphere of the plants subsequently grown in that soil. See also: The Rest of the Story: Take-all Decline with Continuous Wheat Monoculture and First Field Test in the U.S. Pacific Northwest with a Genetically Modified Organism. Frequently, the solarized soil becomes more suppressive to disease caused by pathogens that may survive or be reintroduced. Phenomena of increased availability of mineral nutrients, e.g., N, K and Ca, as well as improved growth of the plant in the solarized soil, even in the absence of known pathogens, have been reported. Induced resistance to pathogens in plants growing in solarized soils has also been reported. The use of solarization in existing orchards (e.g. to control Verticillium in pistachio, olive or avocado plantations) first reported as early as 1979 was an important improvement and deviation from the standard pre-plant method. Other expanded applications and advances include solarizing the soil in a closed greenhouse, using a double-layer mulch, and special types of improved plastic films. Sprayable plastic material has also been developed. Solar heating is also being developed to sanitize greenhouse structures and agricultural tools, disinfest water, control animal and human pathogens, solarize piles of growth substrate material and nurseries. Strip solarization of beds, applied by a machine. Computerized simulation models for predicting temperatures of solarized soils are now available and can be used as guidelines by researchers and growers interested in using solarization but are not sure whether the ambient conditions in their place are suitable for solarization. In addition, simulation models and approaches for predicting rate of thermal killing of pathogens and rate of pathogen control by solarization are available. Soil solarization as a method for disinfestation of soil or other habitats where pests and pathogens reside is a nonchemical method with no known endangerment to the user or the environment. It is also simple for application and less expensive than many fumigation methods. Its major limitation is its climate dependency, namely, the need for several weeks of intensive sunshine during which time that soil cannot be occupied with crops. Although no major negative side effects of this method have been reported, such a possibility should not be excluded. Therefore, solarized fields should be continuously monitored, as should be done with all the disinfested fields. It should be emphasized that soil solarization is not a magic cure for every illness but rather, it is one more tool for pest management that, under the appropriate conditions and application, can become an important additional tool to our rather limited arsenal for management of soil-borne pests. Chen Y., Gamliel, A., Stapleton, J. J. & Aviad T. 1991. 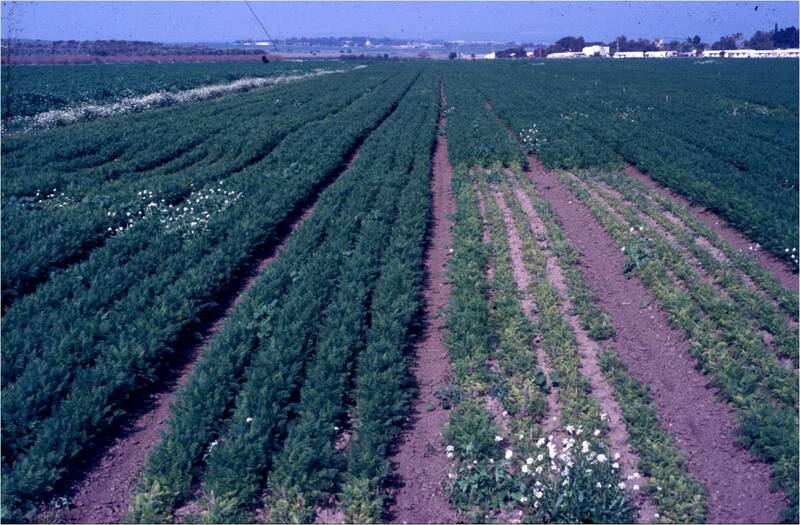 Chemical, physical and microbial changes realted to plant growth in disinfested soils. Pages103-129 in: Soil Solarization. J. Katan & J. E. DeVay,Eds. CRC Press, Boca Raton, FL. DeVay, J. E., Stapleton, J.J. & & Elmore, C. L. 1991. Soil Solarizaiton, Proceeding, First International Conference on Soil Solarizaton, Amman, Jordan. FAO Plant Production and Protection Paper 109. FAO Rome. Elmore, C. L., Stapleton, J.J., Bell, C. E., DeVay, J. E., and Hart, W. H. 1984. Soil solarization: A non chemical method for controlling disease and pests. Cooperative Extension, Division of Agriclture and Natural Resources: Leaflet 21377, University of California, Oakland, 14 pages. Gamliel, A., and Katan. 1991. Involvement of fluorescent pesudomonads and other microorganisms in increased growth response of plants in solarized soils. Phytopathology 81:494-502. Gamliel, A., and Katan. 2009. Control of plant disease through soil solarization. Pages 196-220 in Disease control in Plants: Biologically and Environmetally friendly approaches. D. Walter, Ed. Wiley-Blackwell, Oxford. Gamliel A., and Katan. J. 2012. Soil Solarization: Theory and Practice. APS press St. Paul MN. Gamliel, A., and Stapleton. J. J. 1993. Effect of chicken compost or ammonium phosphate and solarizalion on pathogen control, rhizosphcrc microorganisms, and lettuce growth. Plant Dis. 77:886-891. Gamliel, A., Vanachter, A., and Katan, J. 2010. (eds.) Chemical and Non-Chemical Soil and Substrate Disinfestation Acta Hort 883. ISHS, Leuven Belgium (429 pages). Grinstein, A. 1992. 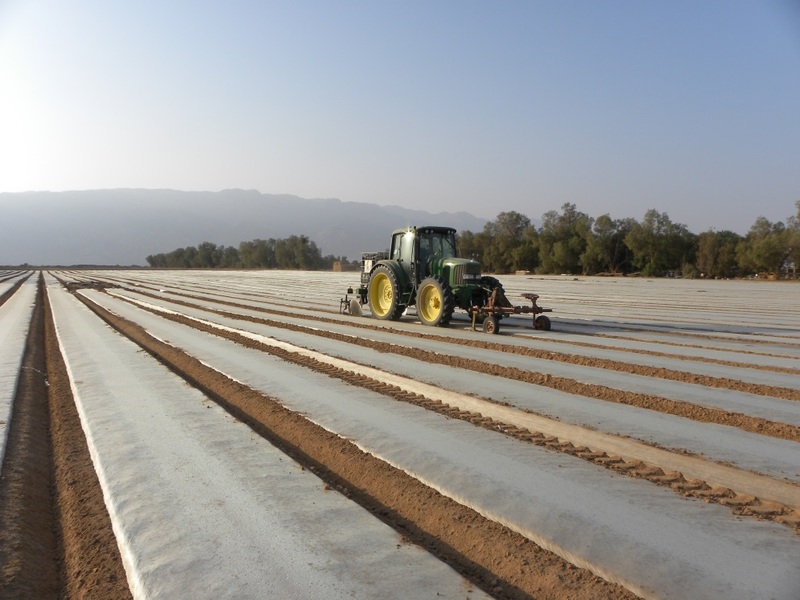 Introduction of a new agricultural technology – soil solarization – in Israel. Phytoparasitica 20.Suppl.:127S-131S. Grinstein, A. & A. Hetzroni. 1991. The technology of soil solarization. Pages 159-170 in J. Katan & J. E. DeVay (eds.) Soil Solarization. CRC Publications, Boca Raton. Gullino, M.L., Katan, J., and Matta, A. 2000. (eds.) Chemical and Non-Chemical Soil and Substrate Disinfestation Acta Hort 532. ISHS, Leuven Belgium (256 pages). Katan, J & J. E. DeVay. 1991. (eds.) Soil Solarization. CRC Publications, Boca Raton: 159-170. Katan, J., A. Greenberger, H. Alon & A. Grinstein. 1976. Solar heating by polyethylene mulching for the control of diseases caused by soil-born pathogens. Phytopathology 66:683-688. Katan, J., A. Grinstein, A. Greenberger, O. Yarden & J. E. DeVay. 1987. First decade (1976-1986) of soil solarization (solar heating)-A chronological bibliography. Phytoparasitica 15:229-255. Stapleton, J.J. and DeVay, J.E. 1986. Soil solarization: a nonchemical approach for the management of plant pathogens. Crop Prot. 5:190-198. Stapleton, J.J., DeVay, J.E., and Elmore, C.L. 1998. (eds.) Soil Solarization and Integrated Management of Soilborne Pests. Plant Production and Protection Paper 147, FAO, Rome. 656 pp. Tjamos, E. C., and Paplomatas, E. J. 1988. Long-term effect of soil solarization in controlling Verticillium wilt of globe artichokes in Greece. Plant Pathol. 37:507-515. Next StoryWhat are Genetically Engineered (GE) Crops and is Food From These Crops Safe?